Sometimes I miss this biscuit. I am a former OFW and these are one of those snacks that you take as they are commonly found in Bakalas (convenience stores). Tasty and sweet, and best of all, cheap. A great come on for an OFW living in Dubai where almost everything is expensive. Lotus is brand that OFWs love abroad and that even when back in the Philippines, we ask people back there to buy some and bring it here as pasalubong or inside the balikbayan boxes. Now we are happy to announce that they are now available here in the Philippines. 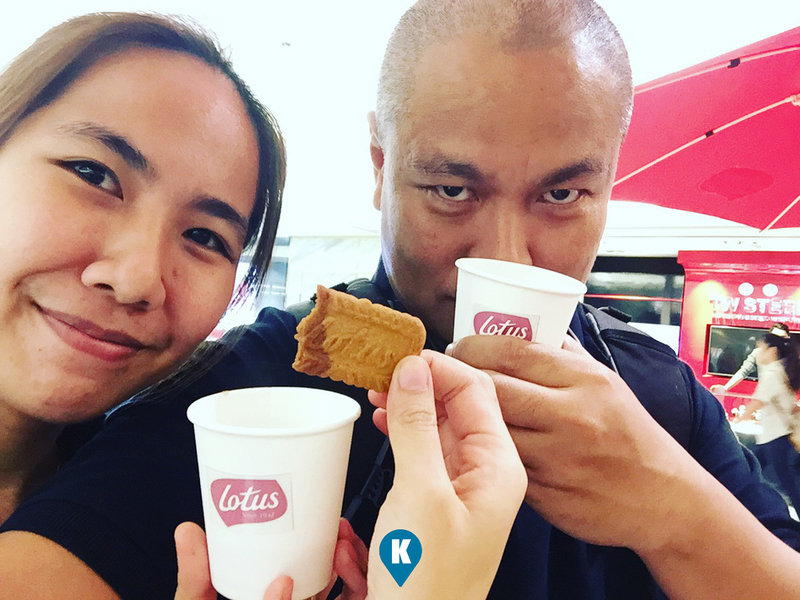 We found them in one of the floors in SM Makati and we were taught how to maximize the Lotus experience, by dipping it in coffee. I didn't do this way back in my OFW days. I thought it was simply eaten with coffee, tea or soda or with water. These lovely ladies at the kiosk, gave us a small cup of coffee, a piece or two of these biscuits to try and dip them in coffee. Wow, the flavors exploded in my mouth. Such a revelation this is. Wait there's more. They are a current promo right now, the Share your Lotus Coffee Moment campaign. 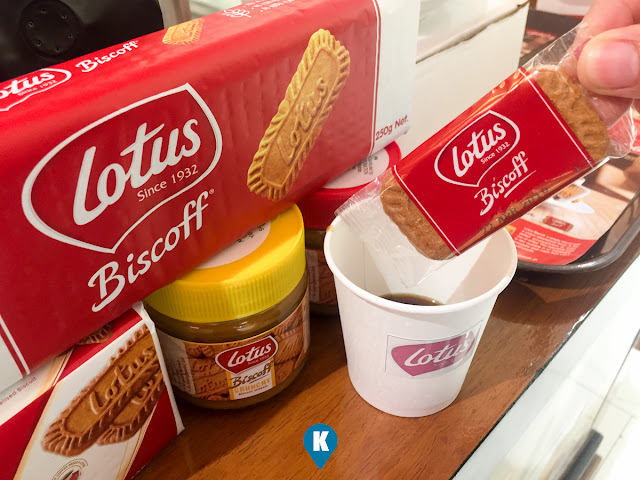 First (1) Like their facebook page at www.facebook.com/lotusbiscoffphofficial and instagram @lotusbiscoff_ph. 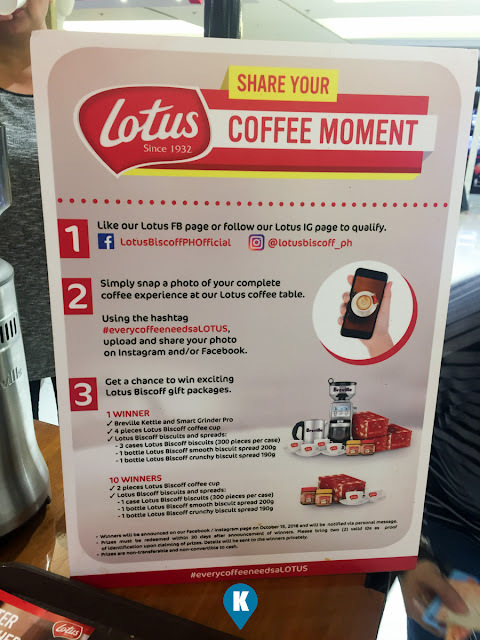 Then two (2) snap a photo of your coffee experience at their Lotus coffee table in SM Makati and share in FB and IG using the hashtag #everycoffeeneedsaLOTUS. Lastly, get a chance to be a winner!!!! 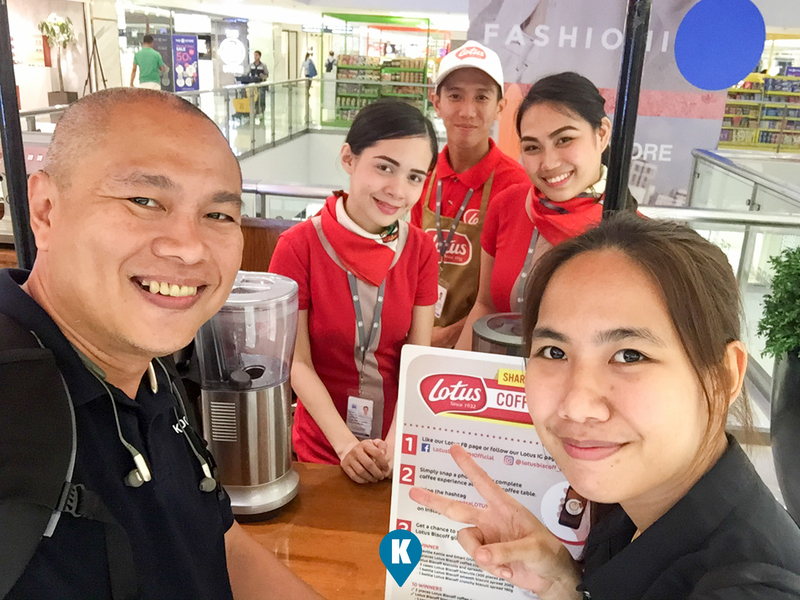 So what are you waiting for, go now to SM Makati and look for their kiosk and experience coffe with Lotus.